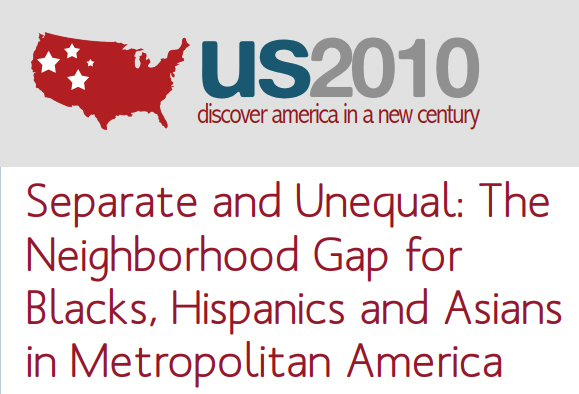 This report examines how people’s race/ethnicity and income are translated into racial/ethnic and class segregation across neighborhoods. The first question is to what extent minorities’ residential isolation and limited contact with non-Hispanic whites is a result of income differences. Is segregation a problem of affordability? The second question is how much separate turns out to mean unequal. The study includes all metropolitan regions in the country and examines variations among the regions with the largest minority populations.